Is there a better alternative to DejaLu? 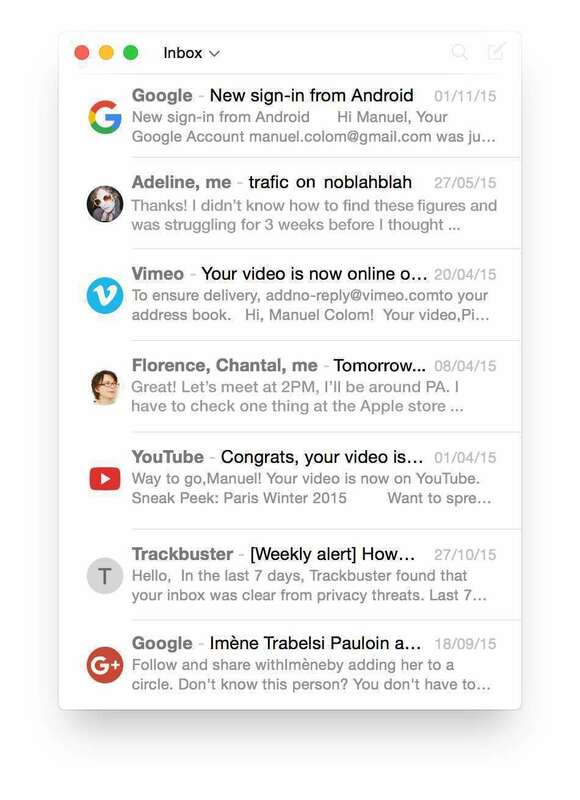 Is DejaLu really the best app in Email category? Will DejaLu work good on macOS 10.13.4? DejaLu, from the developer of Sparrow, is an e-mail client with a beautiful UI, a friendly interface, amazing high quality, and amazing new features. Built from the ground-up using Open-Source MailCore and libetpan that I maintain (and that other apps such as Airmail and Spark are using as well) I created DejaLu. Slick and Simple User Interface - The user interface has been designed to reduce the amount of "computer administrative debris" and maximize the content. Brand new redesigned format and font size for each one of your email thread. DejaLu is simply easy to use and beautiful. Zen Notifications - Inbox Zero email is really hard to achieve for a human being. For most of us, emails accumulate and the amount of email counter is usually out of control. Zen Notifications is an amazing feature for email notifications and probably the best way to fight the stress of unread emails. A Dock badge without counter appears when there’s a new message and goes away when you bring DejaLu to front. Energy Efficient - DejaLu downloads only the emails you need, which makes it much more efficient, saving you disk space and battery. Gmail Friendly, Desktop Friendly - The following features have been implemented on client side: labels, archive, signature, and aliases. It supports drag-and-drop, and it can collapse like a widget so it doesn’t take lots of space on your screen. CC/BCC - I believe that CC/BCC is an outdated feature. Some software such as Front are literally letting people share their entire inbox to avoid having to CC or BCC. The original version of DejaLu didn’t have that feature but I’ve realized that many of us were probably too used to it from the other mail clients. I believe that adding this feature back to DejaLu will add a great value to the users.